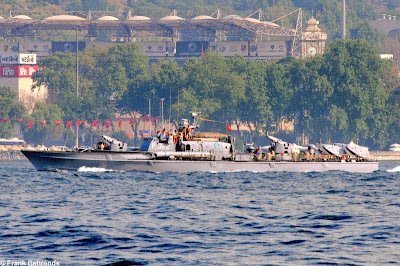 The Kilic (Kılıç) class is the latest class of fast attack craft in service of the Turkish Navy. The class comprises a total of 9 ships. The first batch of three boats are designated Kılıc I (or else Kilic class) and the second batch of six boats are designated Kılıc II (or else Tufan class). The boats are designed by Lurssen; the first batch of ships entered in service the period 1998-2000 while the second batch commissioned the period 2005-2010. The main differences between the two classes are the electronic equipment (specifically the EO fire control tracking system) and the cupola of the main gun. The first two boats were built in Germany and the rest in Turkey (Golcuk shipyards). The full displacement of these boats with the stealth characteristics is 552tons, the length is 62m, the speed is about 40knots and the range is 3,300n.m. with a cruise speed of 16knots. On the bow deck it is an OTO Melara 76mm/62cal gun; it is not clear though if it belongs to the latest Super Rapido version or the older Compatto. The guns onboard the boats of Kilic II class are mounted in a stealth cupola to reduce radar cross-section. The gun is capable to intercept air and surface targets at a distance of 16 km unleashing 85rnds/min (Compatto) or 120 rnds/min (Super Rapido), weighting greater than 6 kg each. 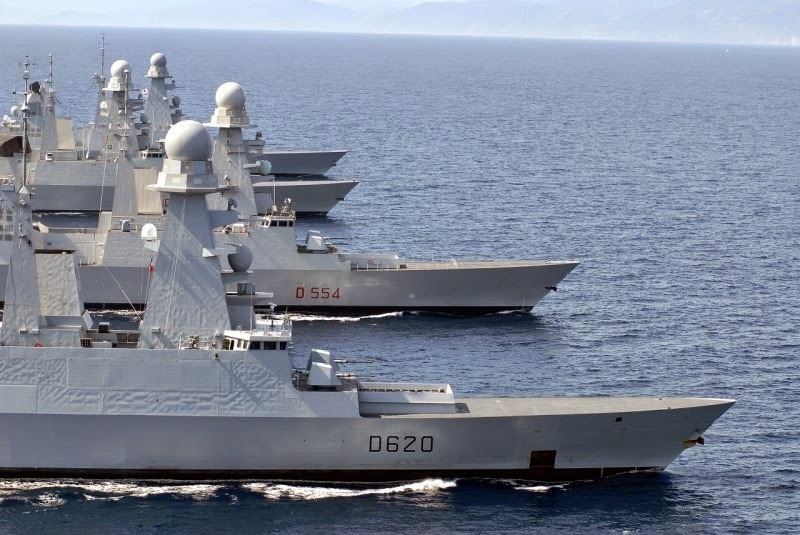 The Horizon/Orrizonte class destroyers is a class of four hich-tech stealth Anti-Air Warfare (AAW) ships which were commissioned the period 2008-2009 in French Navy (Marine Nationale) and Italian Navy (Marina Militare Italiana). Two ships were built for each navy, under a multi-national collaboration between the two countries, the Horizon SAS. 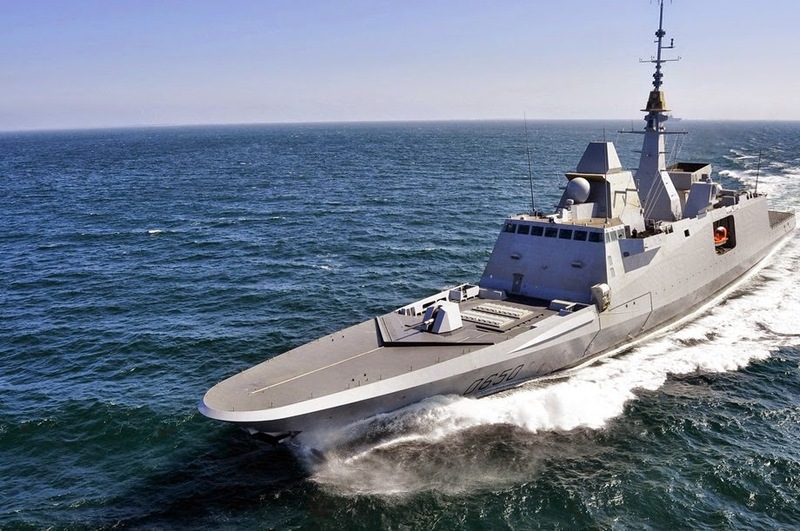 Horizon SAS was a temporary consortium of companies between Italy and France (50% Italy - 50% France) provided by Orrizonte Sistemi Navali (joint venture between Fincantieri and Finmeccanica) and Armaris (joint venture between DCN and Thales). The project originally included also the United Kingdom however due to differing requirements from the Royal Navy for a heavier ship that can provide air defence to a fleet that operates in hostile waters, the United Kingdom proceeded alone to develop the Type 45 destroyer instead. The main differences in the requirements were in the Vertical Launching System (VLS) and the scanned array radar. Though four units were planned for each navy, only two were built for each one. The French vessels, Forbin and Chevalier Paul, replaced the two AAW vessels of Suffren class while the Italian vessels of the Andrea Doria class, Andrea Doria and Caio Duilio, replaced the two AAW vessels of Audace class. The armament and equipment are almost identical between the vessels in service with France and Italy. The class carries a variety of weapons and electronic equipment and it is capable for any kind of mission. Great emphasis was given on the stealth performance and thus tilted superstructures, composite materials and special coatings contribute to a very small radar signature. 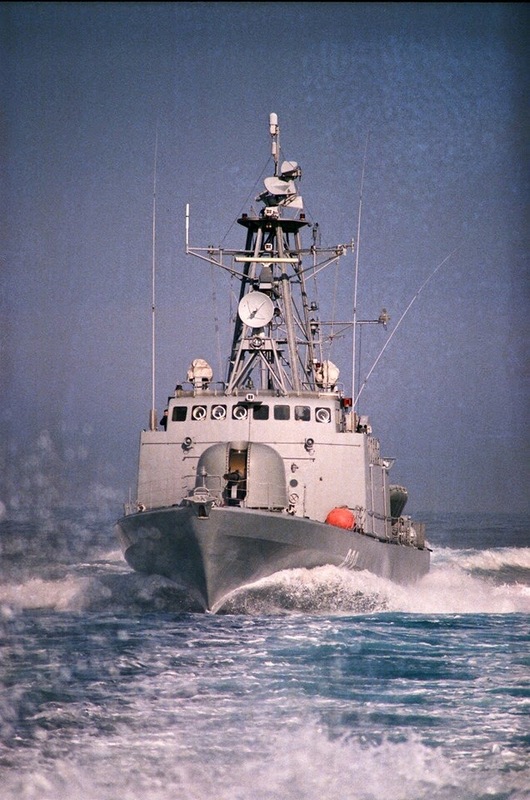 ﻿﻿Kartal class, was till 2016 the oldest class of Fast Attack Craft (FAC) of Turkish Navy (Turk Deniz Kuvvetleri), when the last active boat in the class, Pelikan (P-326), was retired. The design originates from the Zobel class (Type 142) torpedo boats which were designed and built by Lürssen for the German Navy in the early '60s. Nine Kartal class Fast Attack Missile Craft (FACM) were built in Germany by Lürssen and they were commissioned during the period 1968-1970. 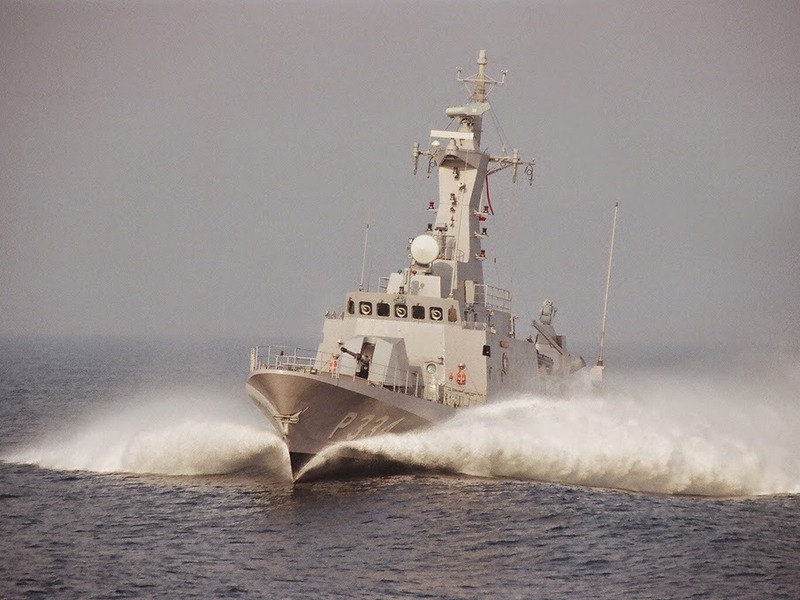 The Kartal class boats were of 200tons full displacement approximately, length and beam of 42.5m and 7.1m respectively and they had a maximum speed of 42knots achieving a range of around 900km with this high speed. Their keel was made from light metal and they had a wooden planking and aluminum superstructure. These craft had an impressive armament for their size but in the 21st century they were considered old, light and without sophisticated electronic equipment. Of the nine vessels, one (P-325 Meltem) was lost in a collision with the Russian Smolnyy class training ship Khasan on 25th September 1985, while the older four (P-321 Denizkusu, P-322 Atmaka, P-323 Sahin and P-324 Kartal) were retired earlier in 2013-2014.